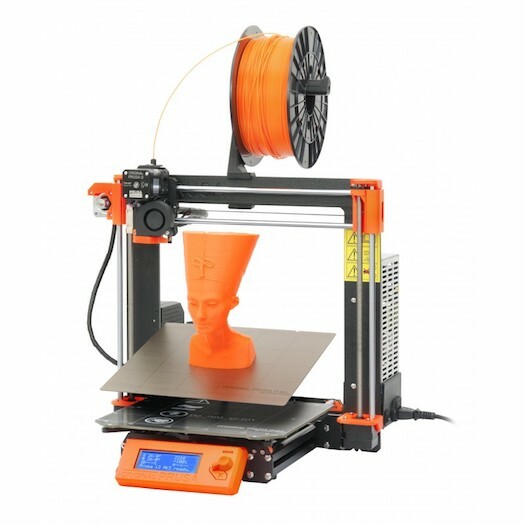 Get Original Prusa i3 MK3! The easiest way to get perfect prints on Original Prusa i3 MK2S/2.5 and MK3! 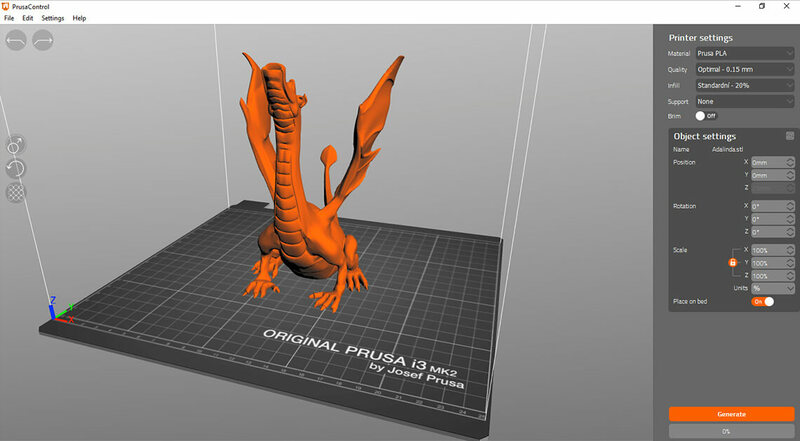 PrusaControl is an alternative user interface for Slic3r Prusa Edition. 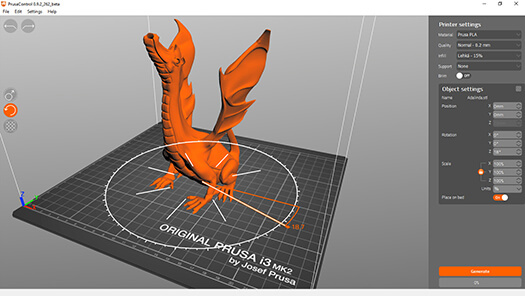 Slic3r Prusa Edition was the first step with a great success and we are extremely proud when people mention they switched back from S3D. But Slic3r has one problem, it is rather complex and intimidating for new users. We cannot do much about this, it is its nature. And that is why PrusaControl was born. It is parallel to Slic3r PE for newcomers to 3D printing, we distil the settings down for the user and put our knowledge to the backend to get the same results. The main goal is to open an object and hit print. PrusaControl is simple, novice friendly and smart. Read more. 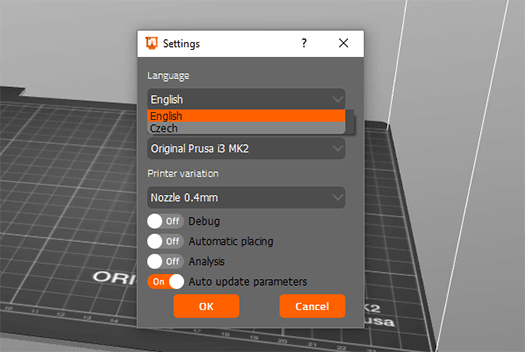 PrusaControl automatically updates print settings for Prusa i3 MK2S, MK2.5 and MK3 everytime you open it. User interface of course has to be in orange on black and very simple. At least in the first version. There are some very sweet features which are rather uncommon like Undo and Redo. Nice rotation UI is also implemented. Everyone hates using the dialogue to type in the exact angle. Here you can rotate by 1° outside the circle and by 45° inside the circle. Our ColorPrint is also included. When you get into the simple G-code preview, you can always add a change on the highlighted layer. Very easy and convenient! Very important but always overlooked feature is a multi-language support. 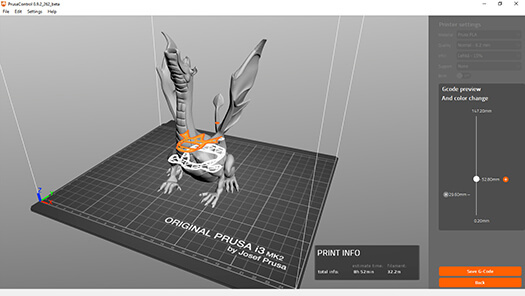 Prusa Research s.r.o. © All rights reserved.